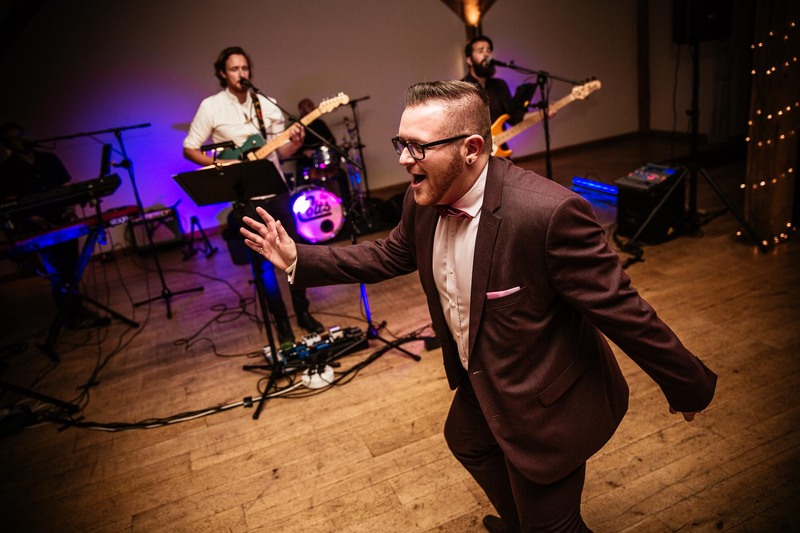 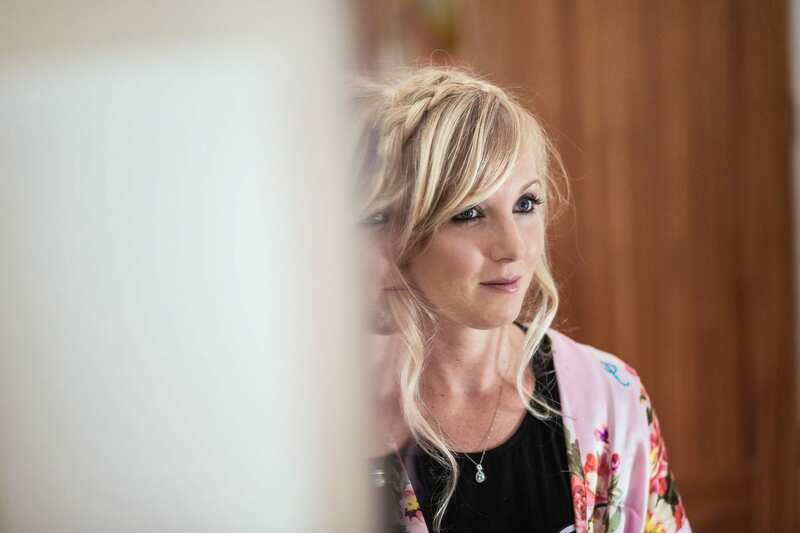 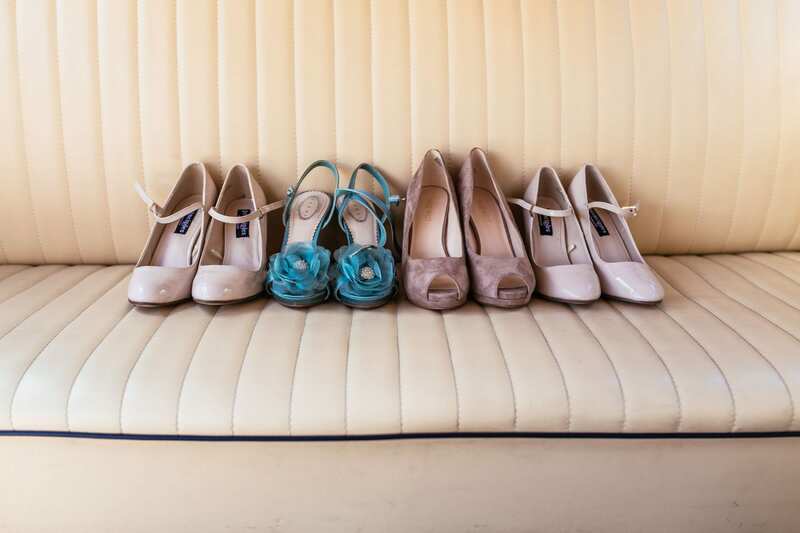 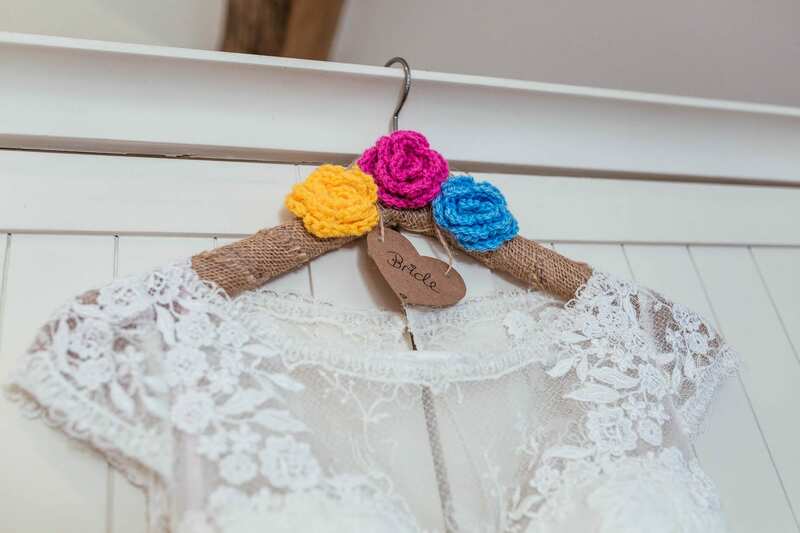 I love shooting colourful wedding photography and Jade & Josh’s big day had colour in spades! 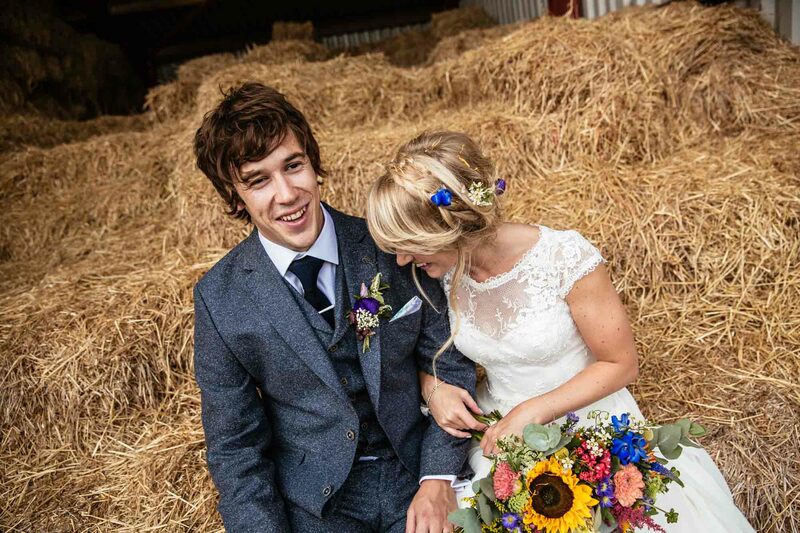 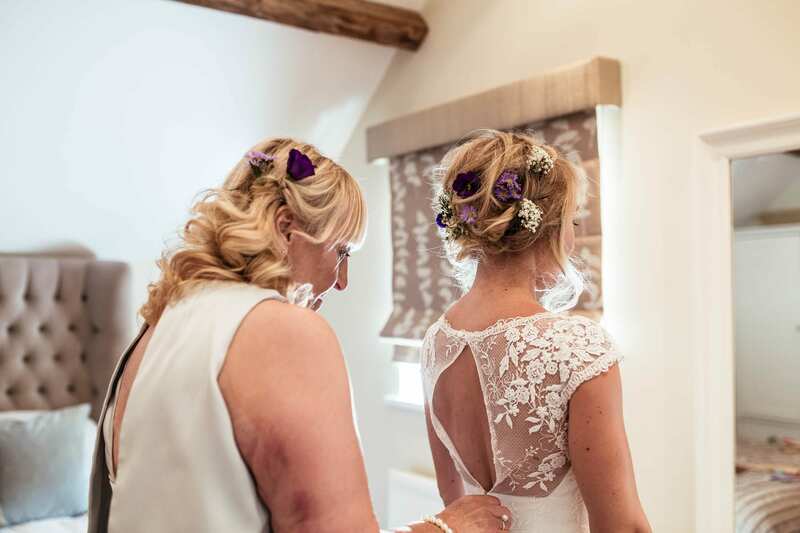 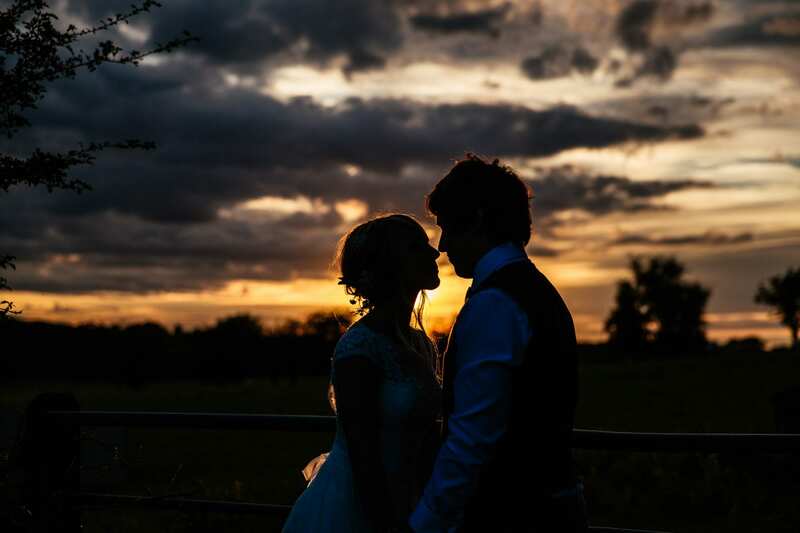 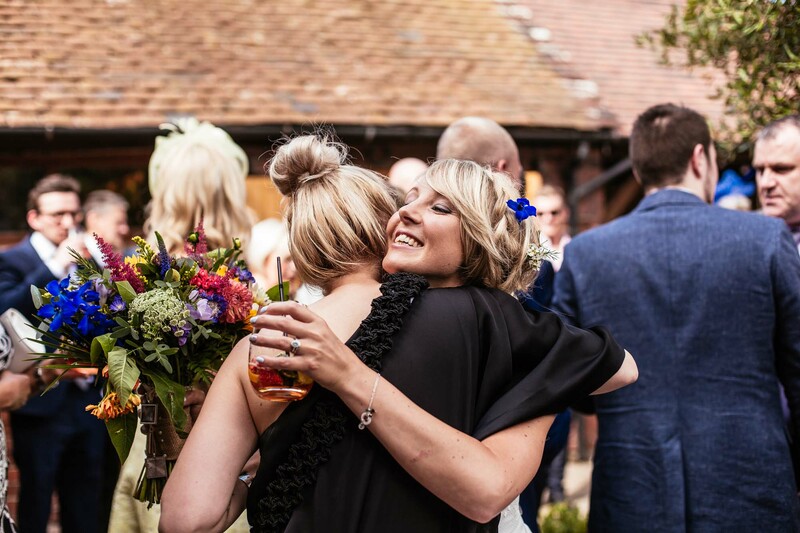 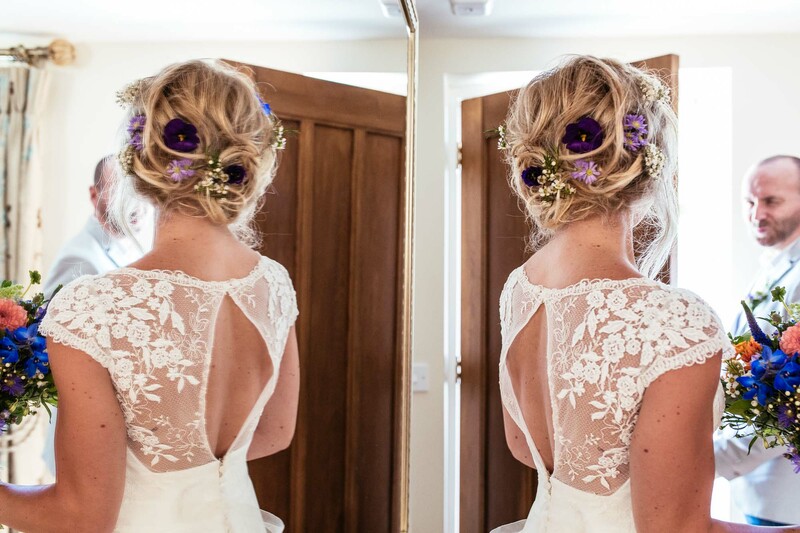 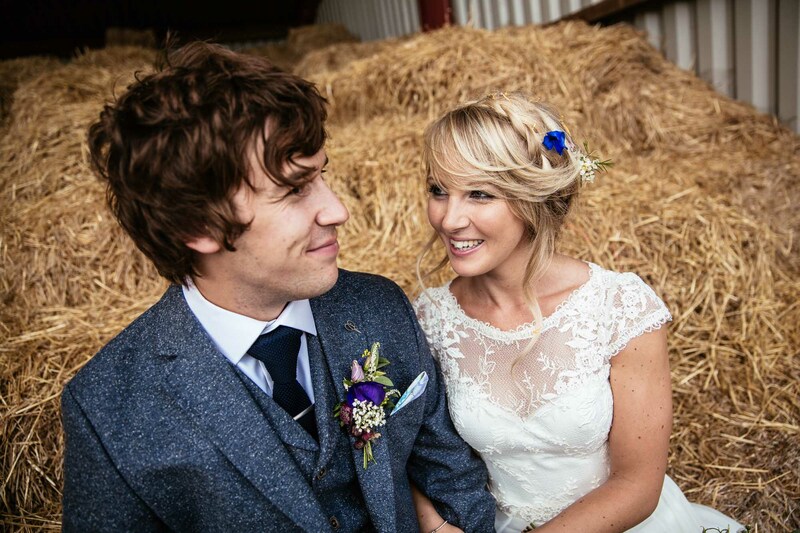 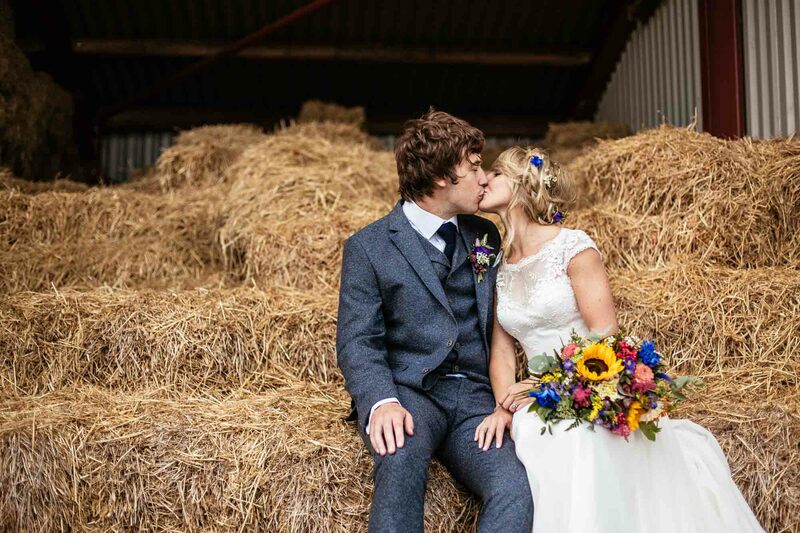 This lovely pair were married last summer at Packington Moor in Staffordshire. 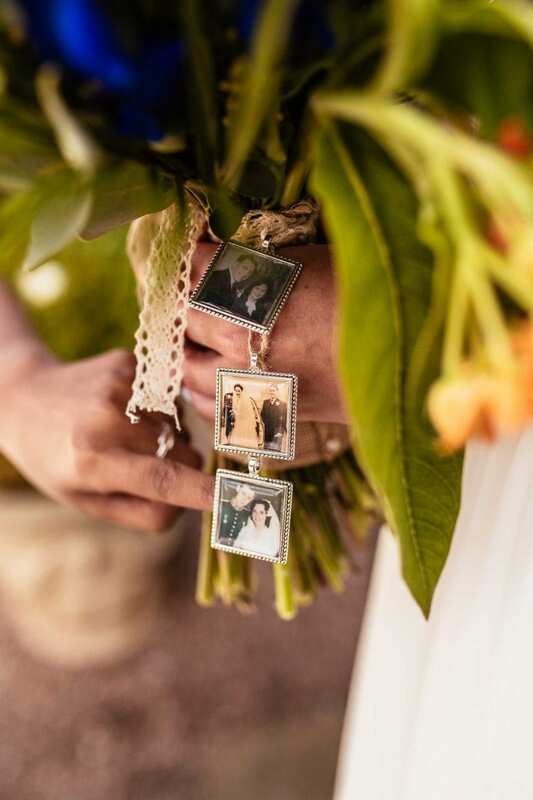 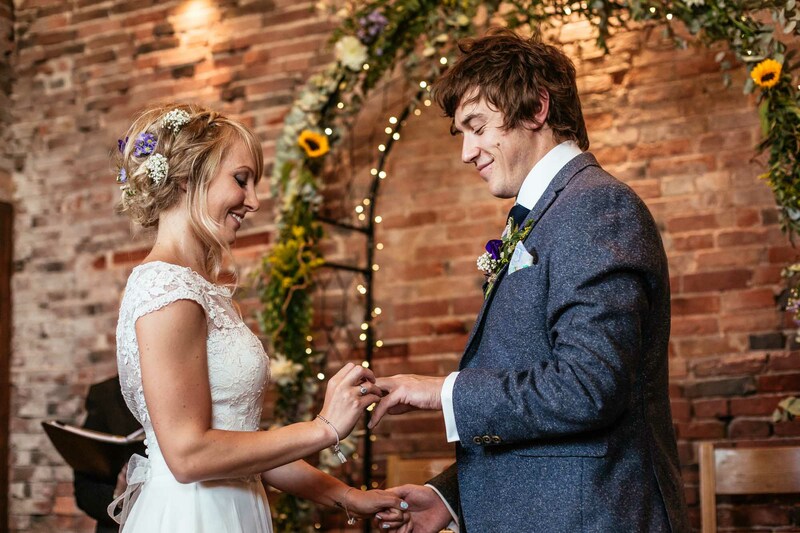 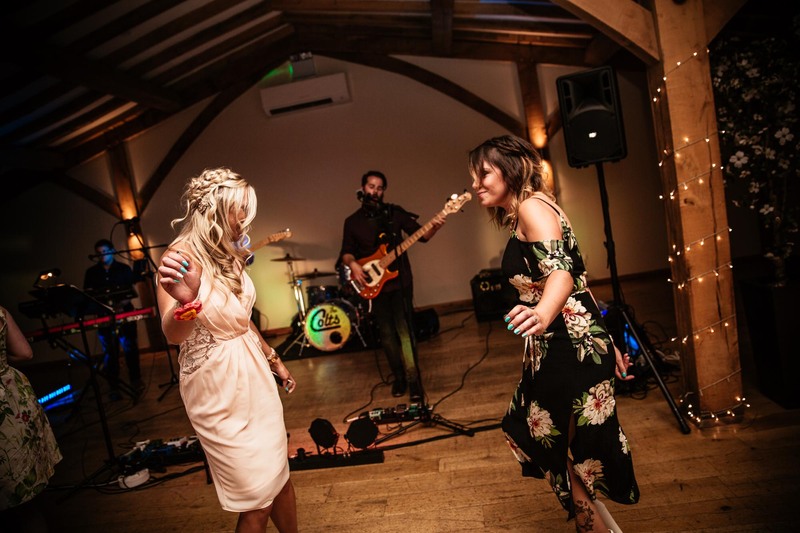 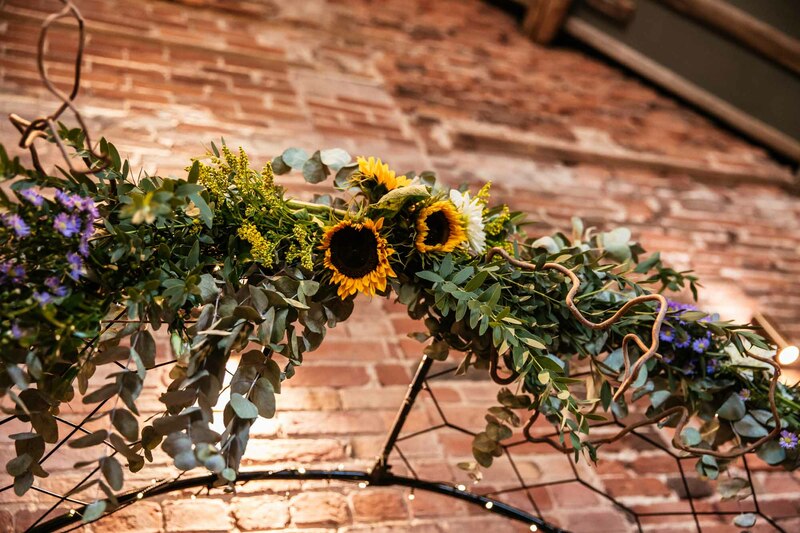 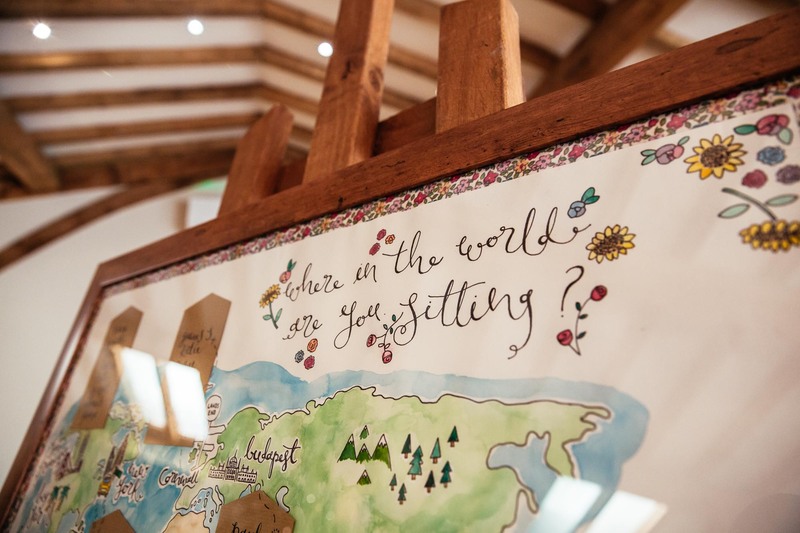 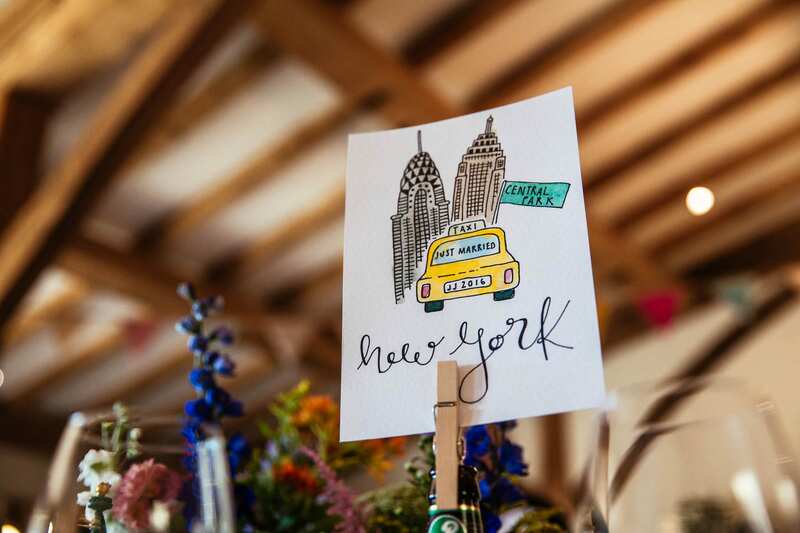 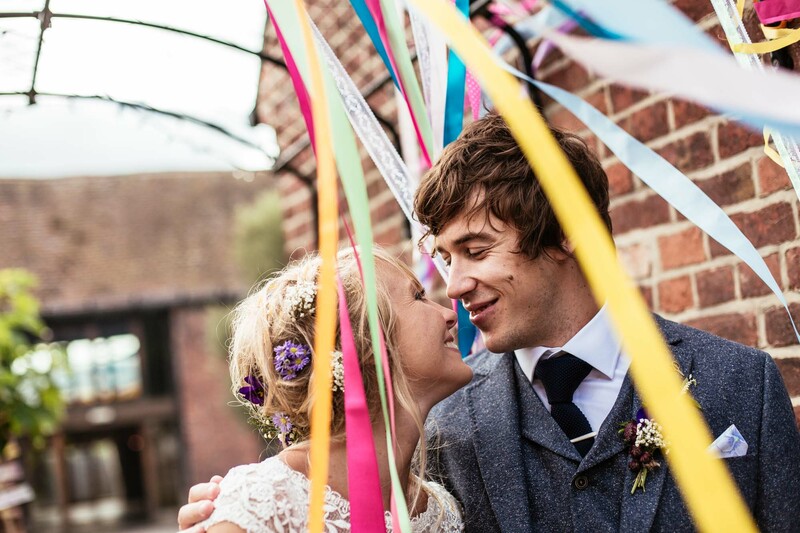 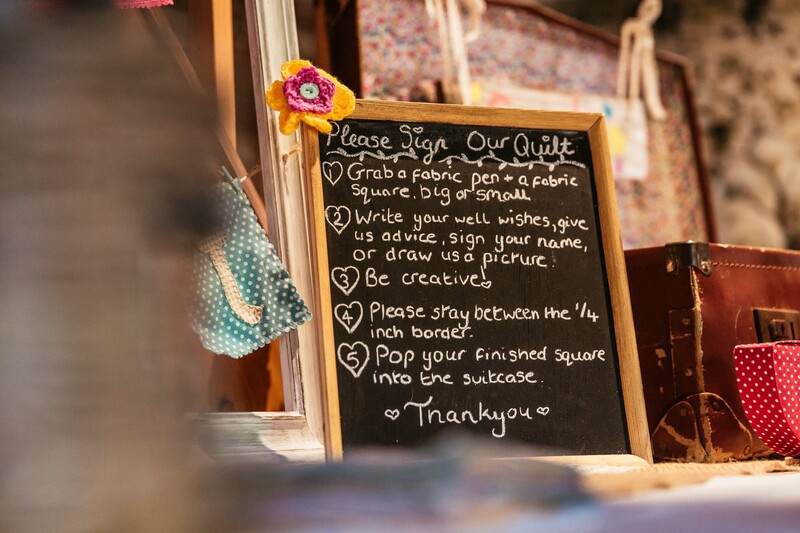 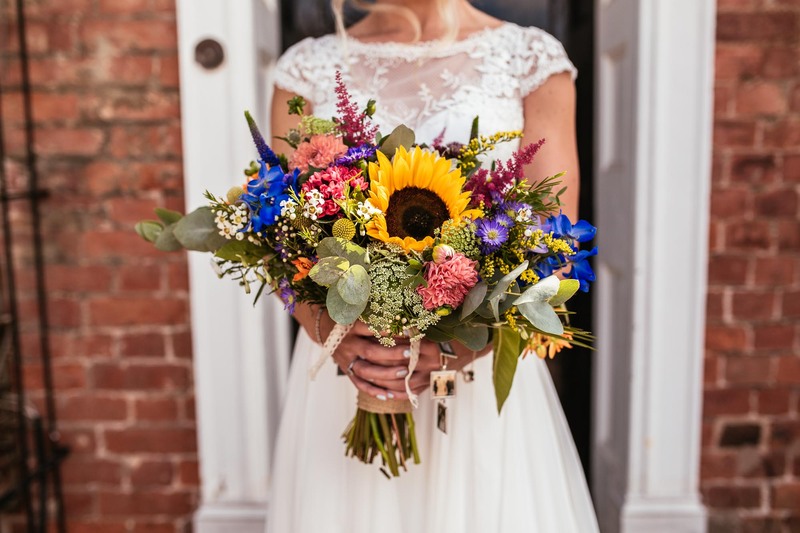 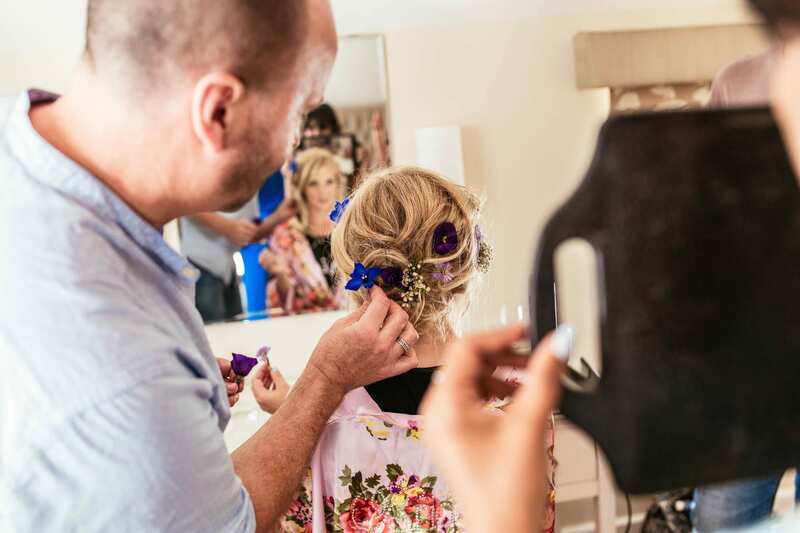 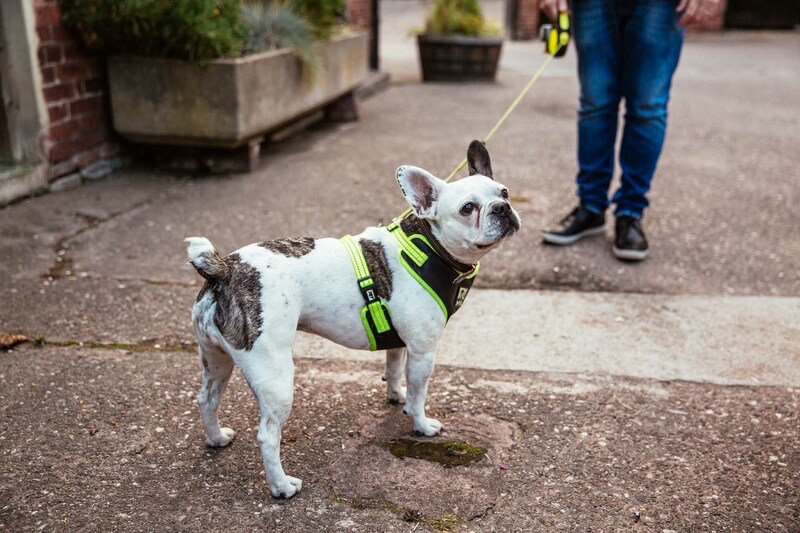 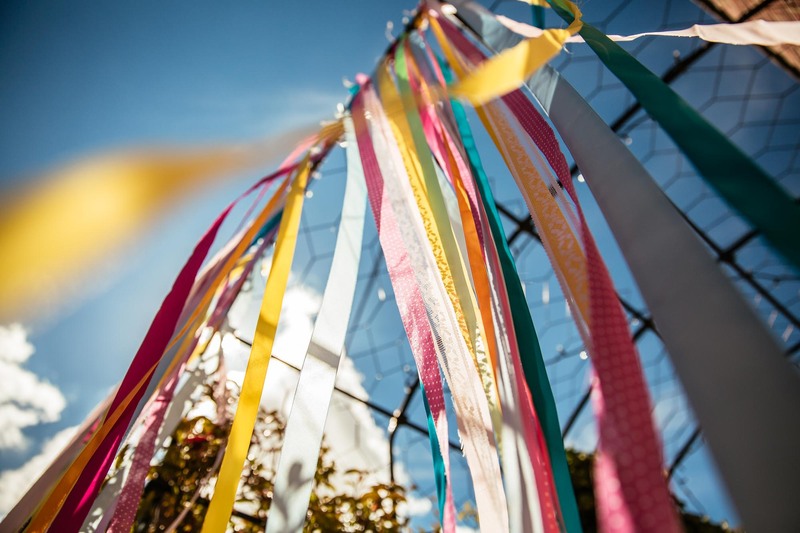 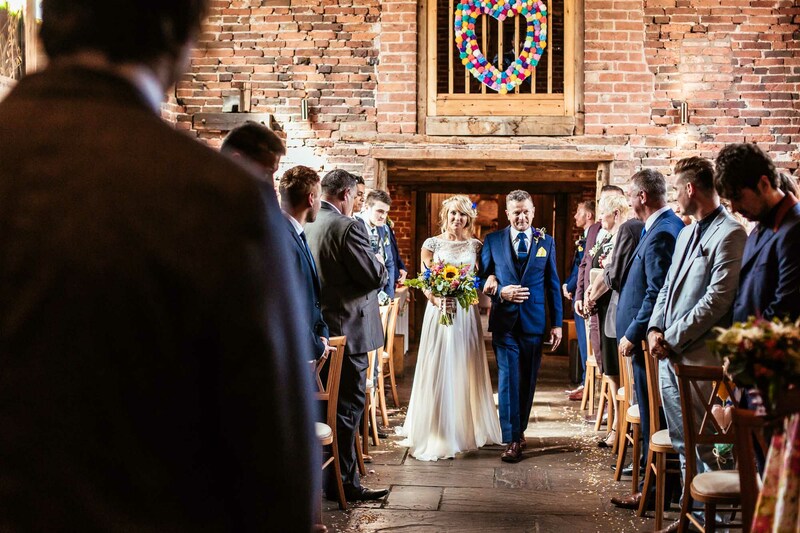 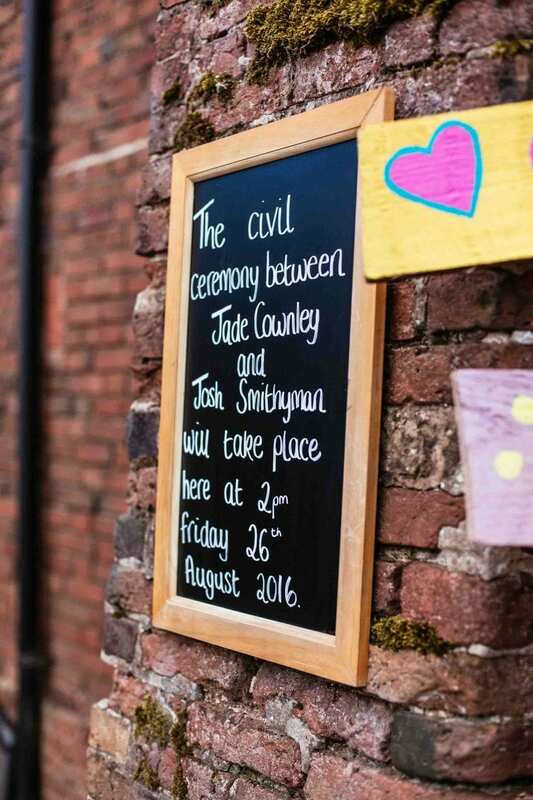 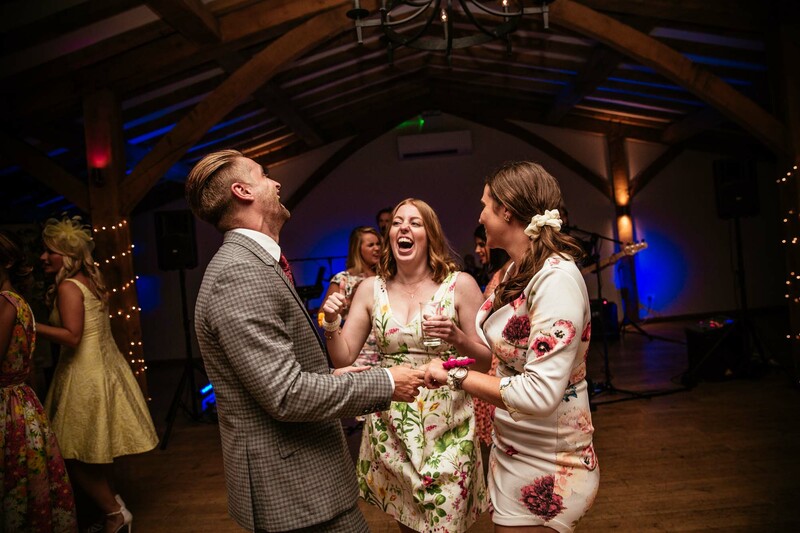 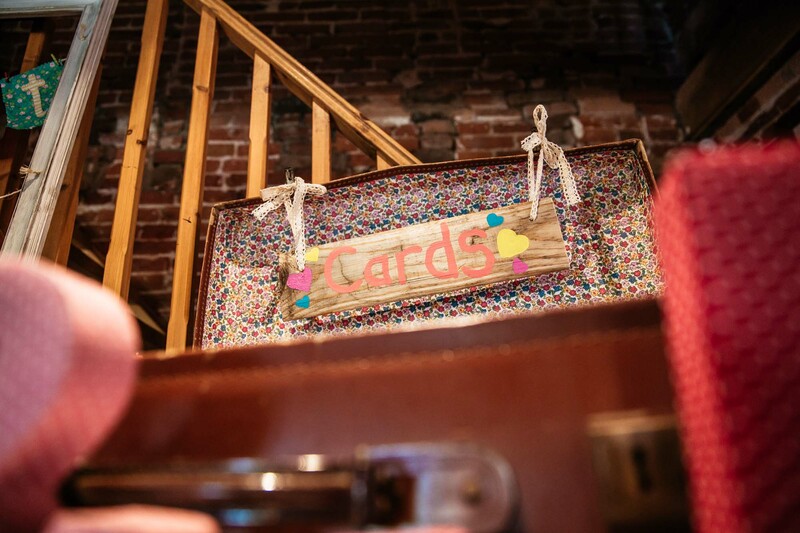 The barn venue was the perfect location for Josh & Jade to hold their boho wedding, as it had lots of spaces to customise with colourful details such as rainbow florals, colourful ribbons and travel souvenirs. 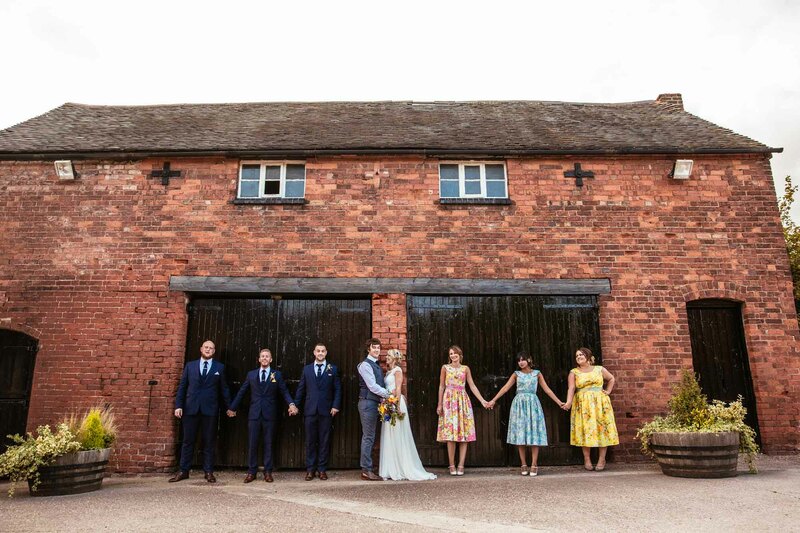 There was also plenty of gorgeous outdoor space for guests to mingle and for portraits, my favourites being the tall trees in the wood and the hay bales in the barn. 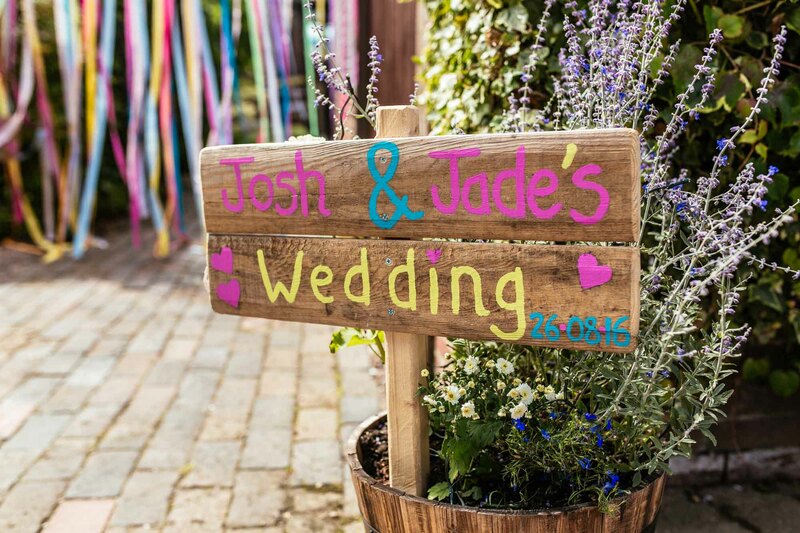 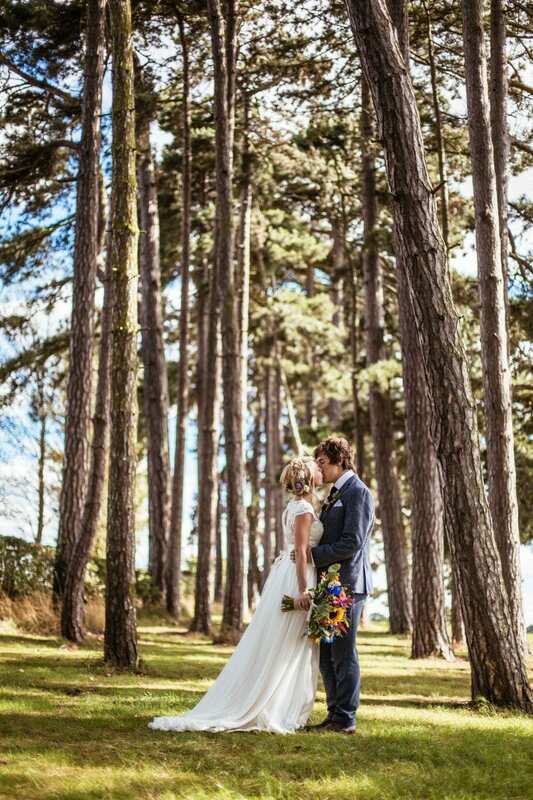 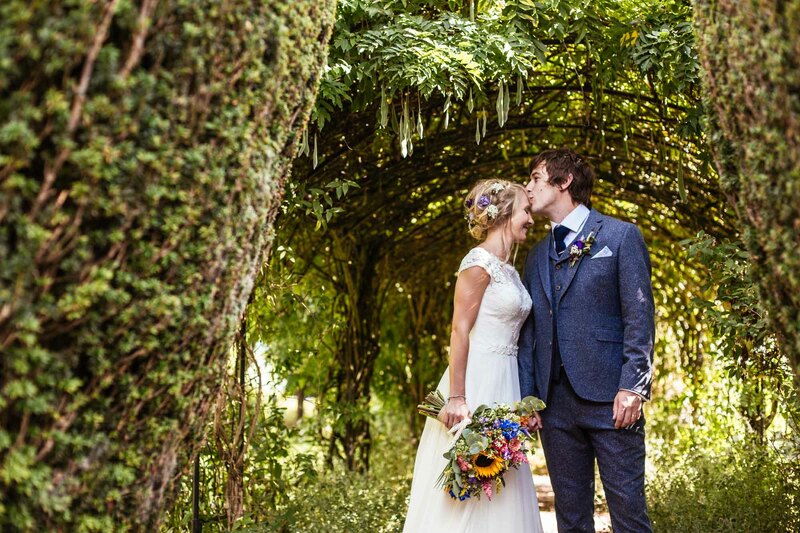 It was a glorious summers day for Jade & Josh’s wedding, which made the colours pop even more! 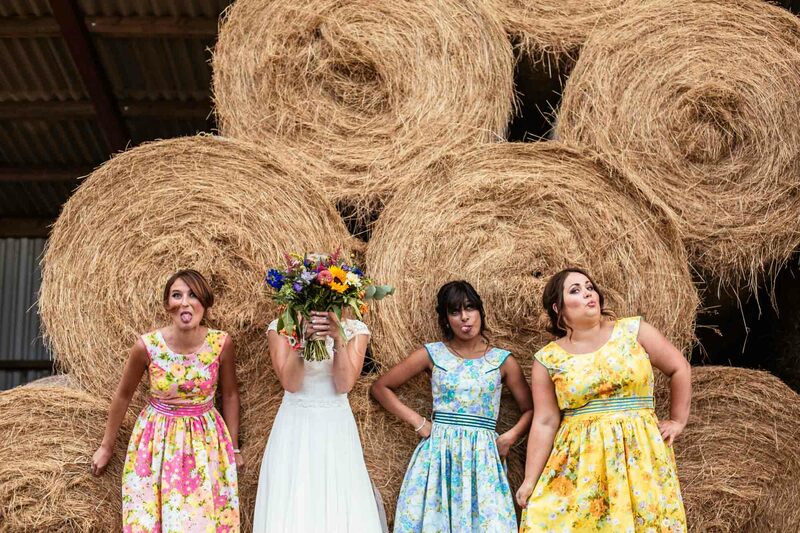 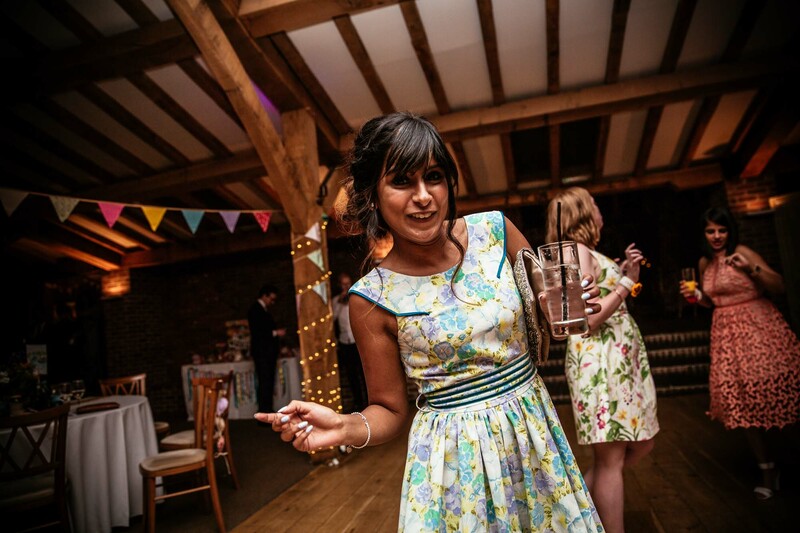 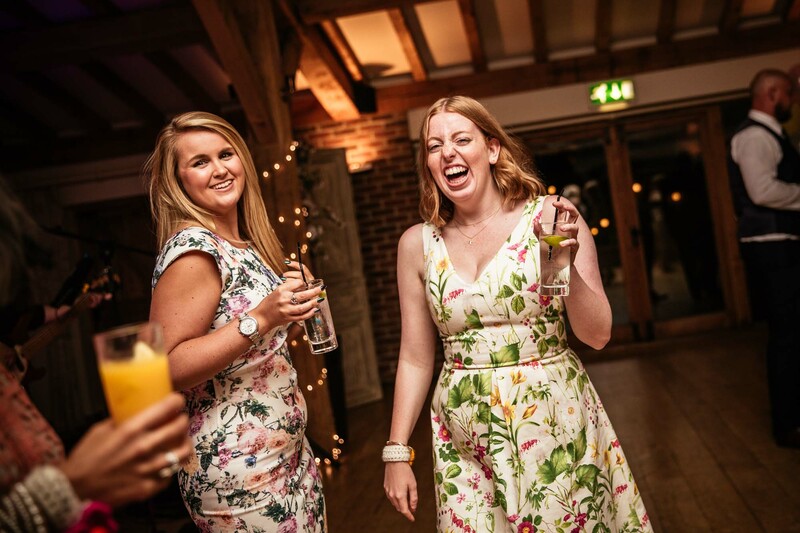 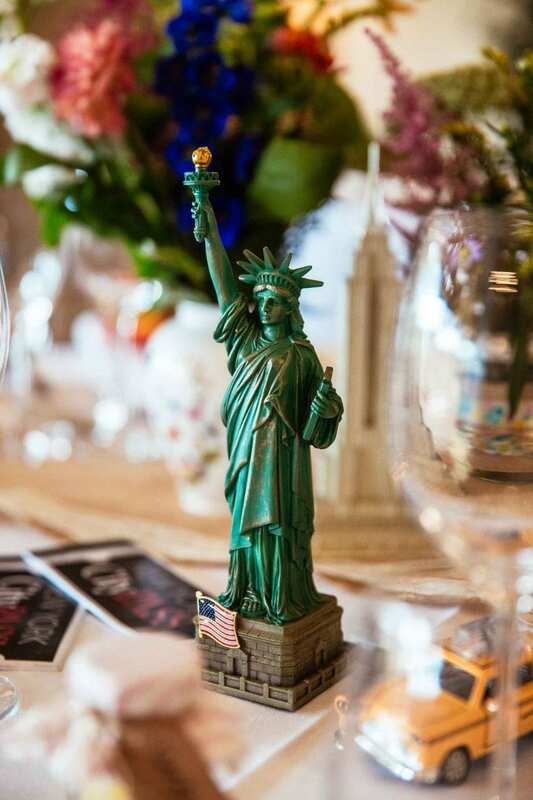 And I just loved Jade and the bridesmaids dresses too – so vintage and fun! 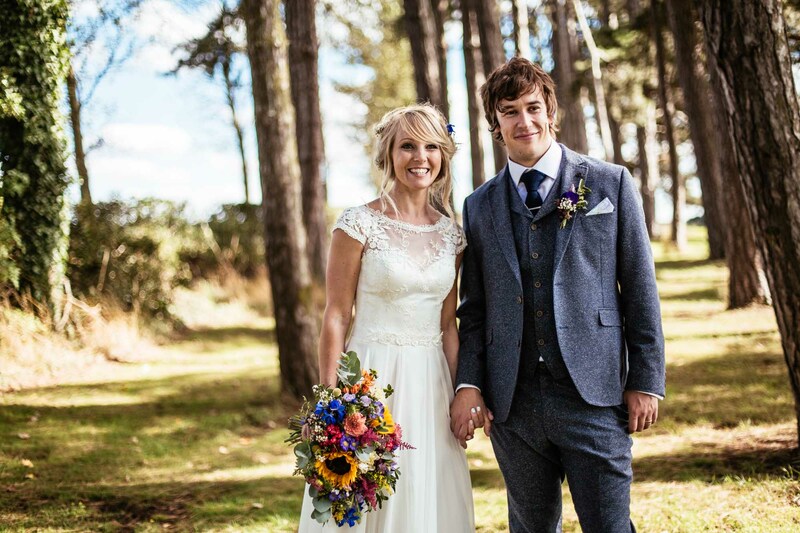 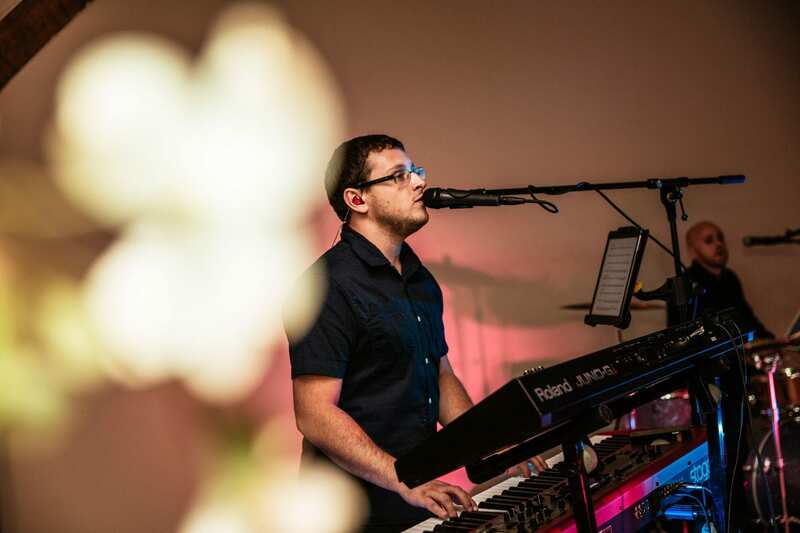 Thank you so much Jade & Josh and congratulations! 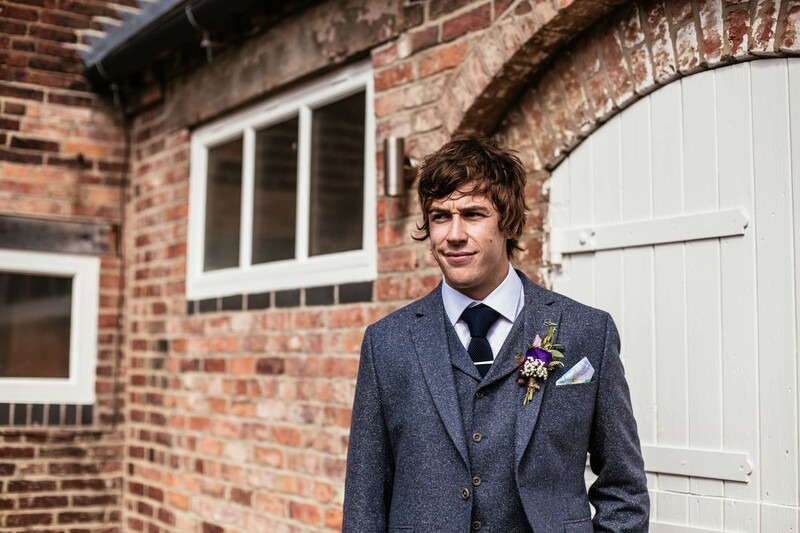 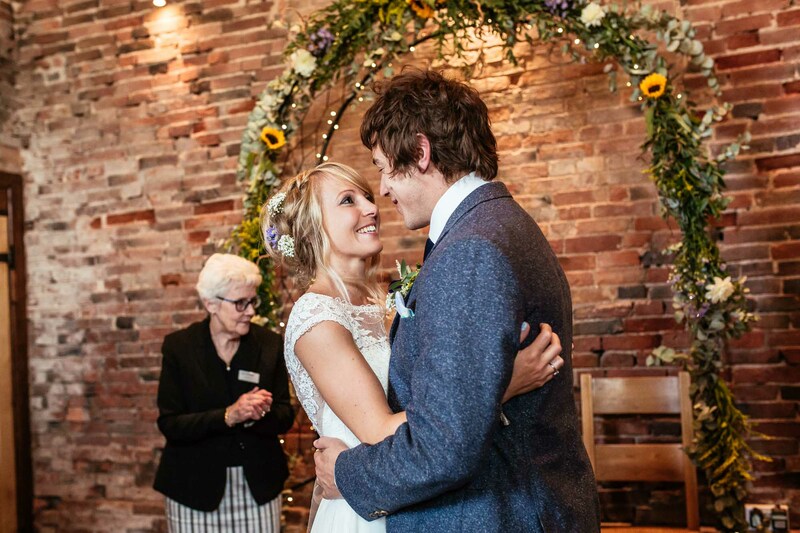 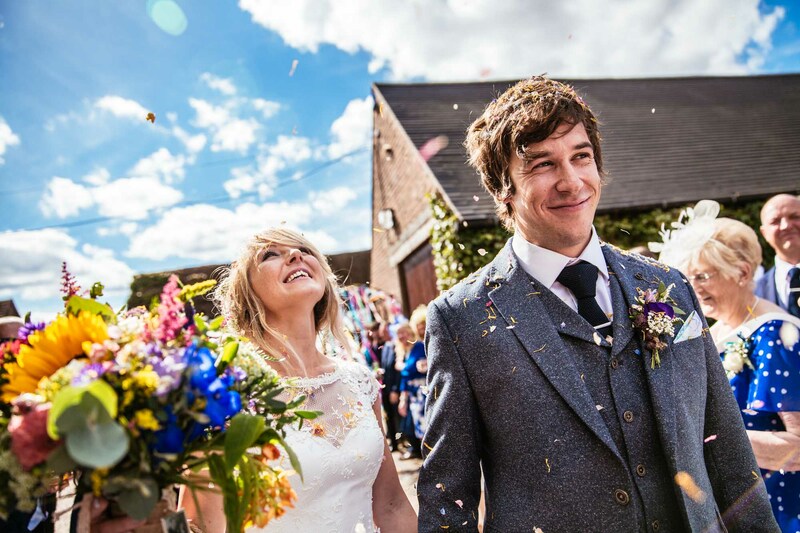 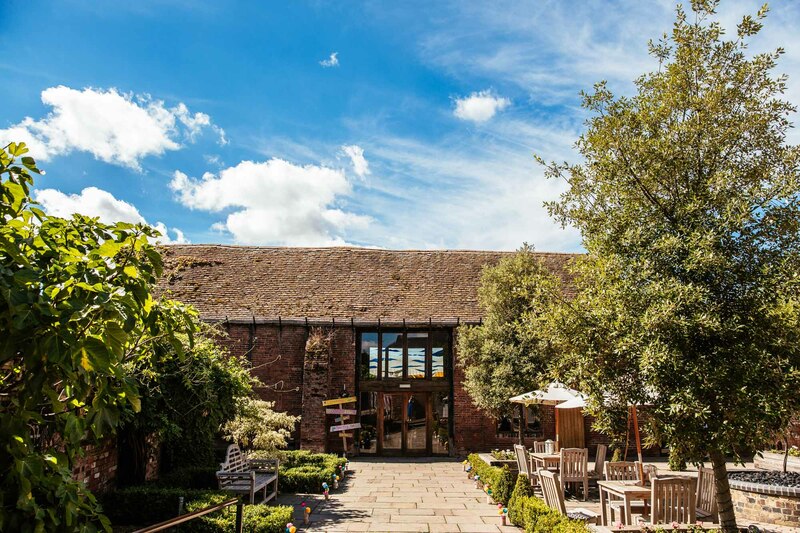 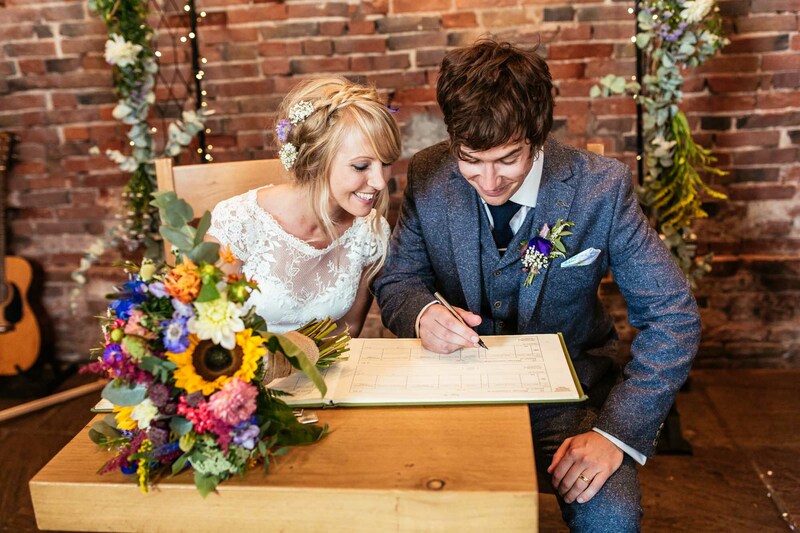 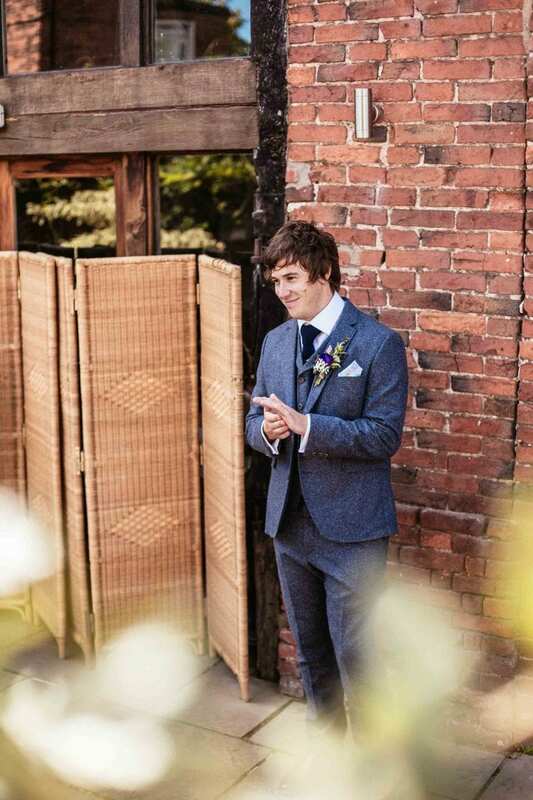 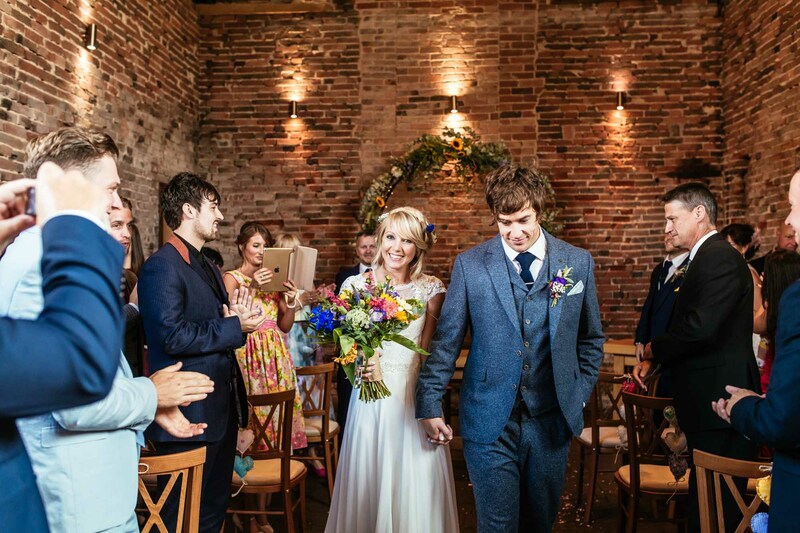 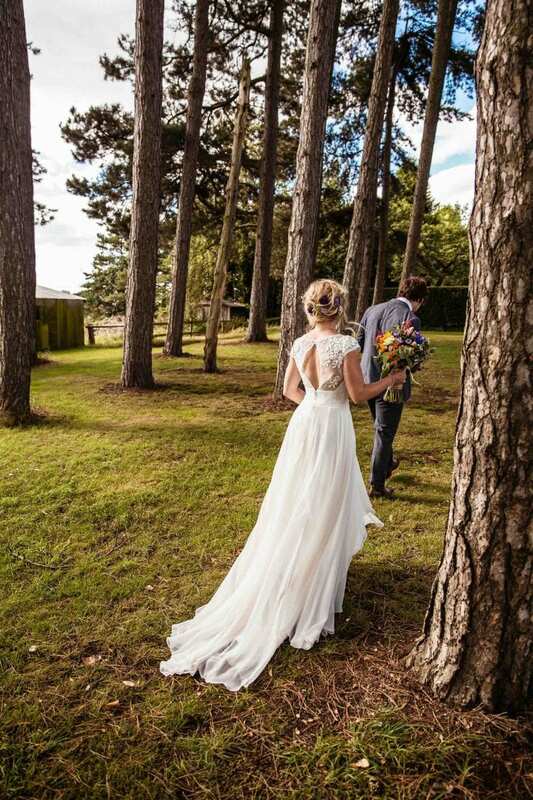 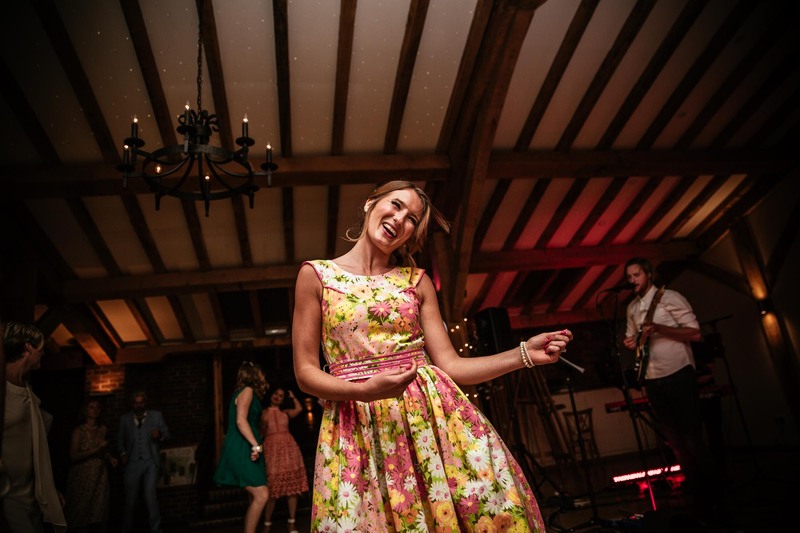 Packington Moor wedding venue in Staffordshire is a great setting for a vintage barn wedding. 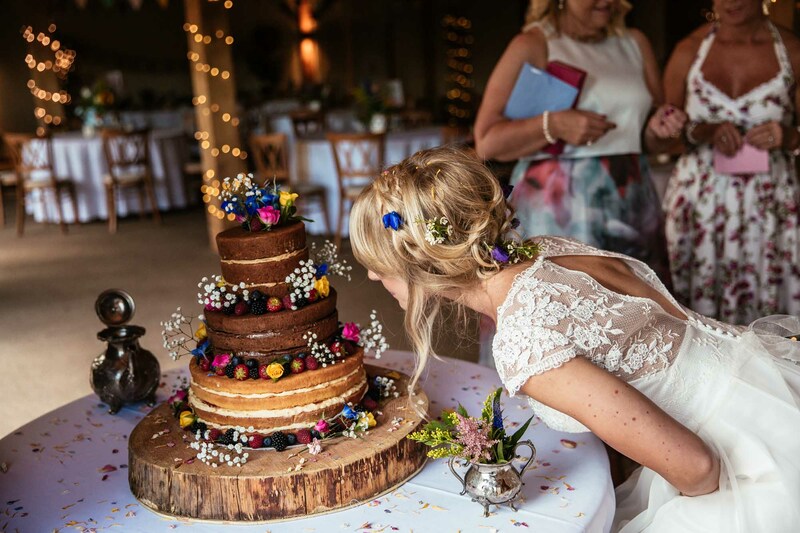 I would love to hear from you if you are planning a barn wedding, boho wedding or vintage wedding at other venues across the UK. 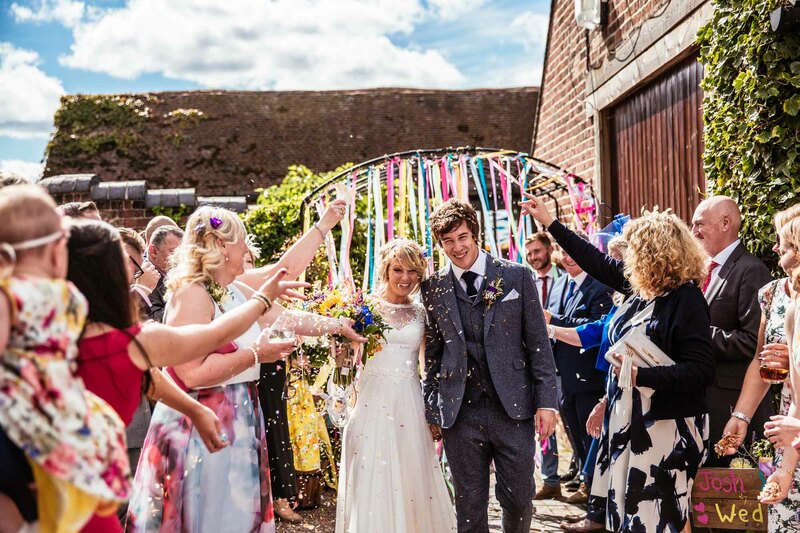 For more inspiration, you can check out other colourful wedding photography at my blog, including this amazing rainbow wedding.